Win this app January 24th, 2015! When my son was diagnosed with Autism, he was two years old. It was a challenging time because treatment wasn’t covered under our insurance and we were wait listed at a a lot of other places for therapy. We tried reading books and devouring as much information as possible. We knew the importance of early intervention and began to do therapy at home as best we could. Even after we did get into some therapies through school and treatment centers, we continued therapy at home and it made all the difference. Today I will be reviewing the TOBY Playpad app. TOBY stands for Therapy Outcomes By You. It focuses on helping parents implement therapy at home and offers comprehensive plans on the iPad and in real world settings. You will find about 30 play based activities included. There are available lessons which change as your child progresses. 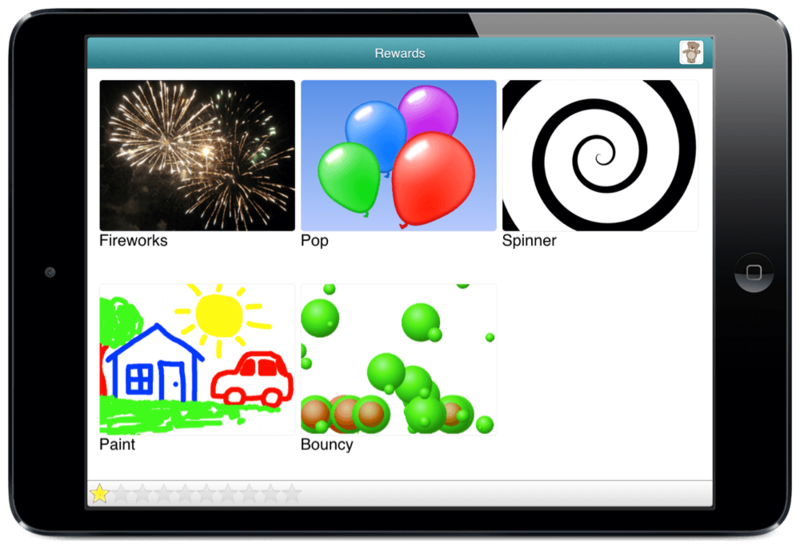 Your child will earn stars which can be redeemed for a reward like balloons, fireworks, and more. This app was created from research overseen at Deakin University, Geelong, and Curtin University, Perth. You can read more about the research on the Toby Playpad website. I’m excited to explain more of the great features available. Let’s get started. When you first open the app, you will be able to register and create an account. As you are registering you will watch a short video clip to explain the basic features. You will choose an icon picture when setting up your child’s account as well. I wish that you could add the child’s picture instead of the icon but it’s a small critique. This app is very thorough and has tons of information to assist you with beginning therapy at home. In the help tab, you will find a “Getting Started” section. The video in this section is very helpful. I would read and get acquainted with the app before starting any therapy. While this app has a very easy to use interface, it can be overwhelming to get started. Sometimes too much information can be hard to take in all at once. Reading the section fully will make it easier however I would love to see better strategies to simplify the information so that parents will be motivated through the entire process. After you have registered and are comfortable, you will see 2 main options. You can start with On-Screen or Real World activities. You will see a list of activities available. Some of the activities include: pointing, dragging, imitation, matching, and actions. As you read through each one, you can find the ones that best suit your child’s needs. Press the “Get Started” button at any time in the bottom right corner of each activity to begin. Some of the activities will be solo activities that the child can do without assistance. Others will require the parent to help prompt the child. The pictures in the activities are basic but many are interactive and offer great sound and visual effects that will help keep the child engaged. Once they have earned enough stars, they will earn a reward. You can redeem the rewards at any time. My son and I tried out this app together. He really liked the rewards. The fireworks were his favorite. The Real World Activities are run very similar to the On Screen Activities. The key difference is that you are performing the tasks or activities without the iPad. You are given lesson plans with everything you need for each activity. It takes a little bit of preparation but it is not hard to perform these. You will manually put results in to track data for the Real World sessions. The reports are easy to read and very helpful. I love seeing the progress over time. 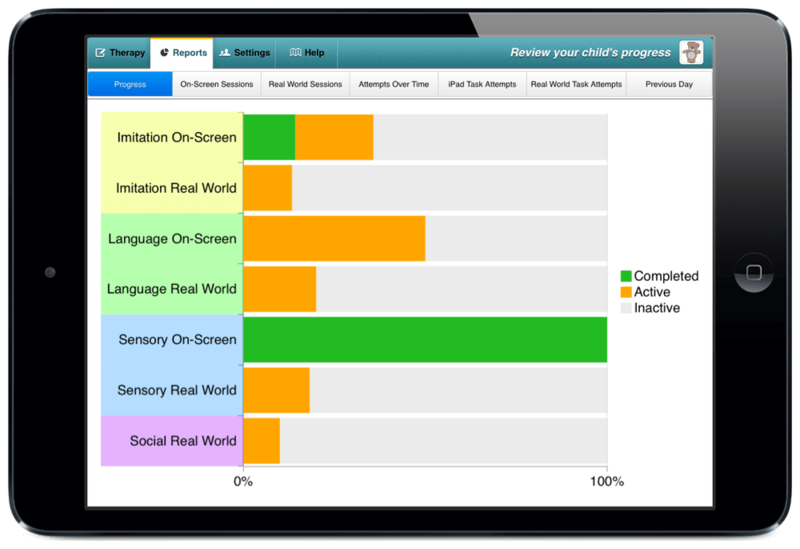 You can view the overall progress, the on screen session, real world sessions, attempts over time, iPad task attempts, real world task attempts, or previous day reports. In the settings menu, you can change the mascot that comes up when the child has earned a reward. 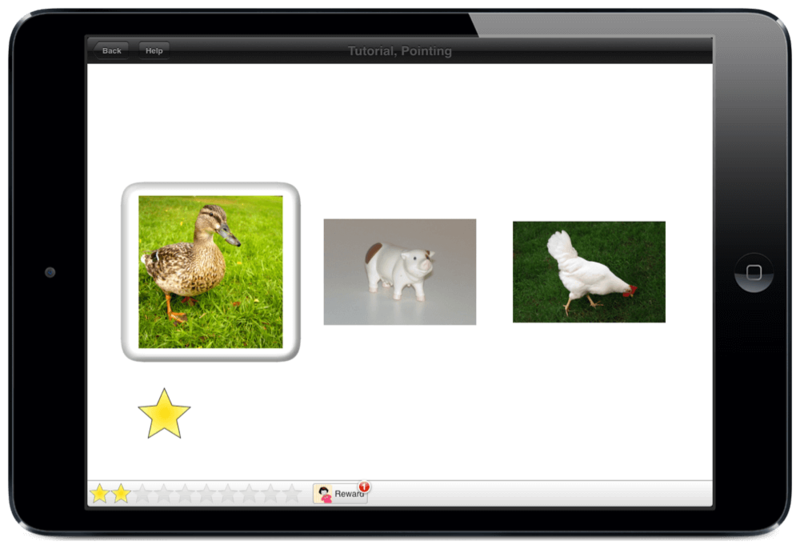 You can change the basic info for the child and include favorite things for the reward. You can add multiple children. This is perfect for parents with more than 1 child that have Autism. It also can be helpful for therapists. I would recommend this app mostly for children between the ages of 18 months to 5 years of age. This is a perfect tool for early intervention. It covers social skills, language, sensory discrimination, and cognitive skills. It really helps with coordinating activities in your daily routine as well as on the iPad. I was really impressed with the resources, tips, and guides to get you started and help you succeed. I also love the real world activities. Having a tool that steps you through therapy at home like this one does is invaluable for a parent. I would recommend finding ways to make the app a little less overwhelming but ultimately you want a comprehensive programm that will work. 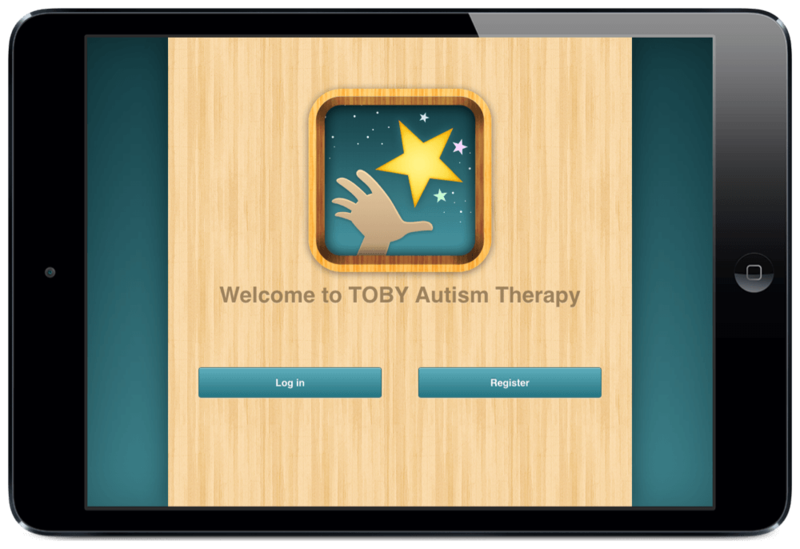 Be sure to enter our weekly giveaways on the Touch Autism Facebook page this week for the TOBY Playpad App. At the time of writing this review, TOBY Playpad retailed for $25.99 in the app store. To learn more, check out the TOBY Playpad Therapy Outcomes By You. Focused on helping parents implement early intervention therapy at home for young children. Buy the TOBY Playpad App in the App Store today!